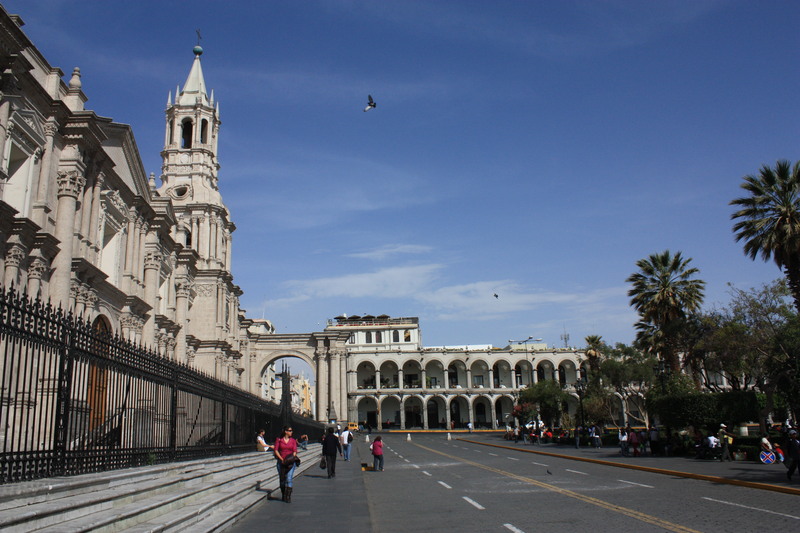 You will be welcomed at the airport in Arequipa by one of our representatives and will be transferred to the selected hotel. In the afternoon the city tour visiting the “White City”, Santa Catalina Monastery, Main Square, Compañía Church and the suburbs of Cayma and Yanahuara with the view of the Misti Volcano. Return to your hotel. At opportune time you will be transferred to the airport for your departure flight. • ALL GUIDED VISITS ARE WITH ENGLISH SPEAKING TOUR GUIDES. • ALL ENTRANCE FEES ARE INCLUDED. • PASSENGERS MUST SUBMIT THEIR ANDEAN MIGRATION CARD AND PASSPORT AT THE HOTELS FOR THE CHECK IN. • EXTRAS PAYABLE BY PASSENGERS. • (B) BREAKFAST (L) LUNCH. © 2015 PGP Travel EIRL - Todos los derechos reservados.